The Range Rover Sport, the “sporty” member of the Land Rover range, has received a minor facelift and a massive mechanical makeover for the 2010 model year. The new model makes it more worthy of the “Sport” badge, although it still falls behind the tough competition when it comes to on-road performance. 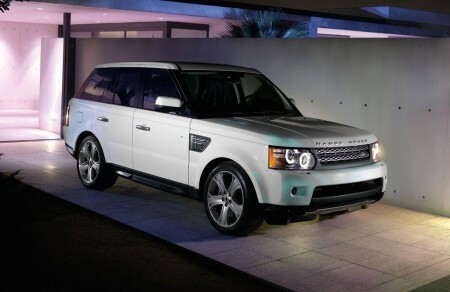 The 2010 Range Rover Sport was unveiled at the 2009 New York Auto Show. The introduction of new systems such as Adaptive Dynamics, working in conjunction with existing Dynamic Response on Supercharged models, and the addition of the road-focused Dynamic program to the Terrain Response system help enhance agility and ride quality. Further improvements to the Terrain Response system ensure that off-road capability is kept at the expected class-leading level. 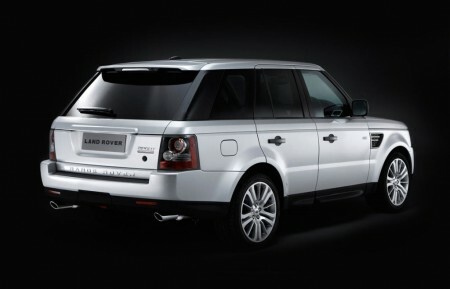 The most significant changes on the 2010 Range Rover Sport are to its powertrains. The vehicle benefits from two powerful new engines: 510 hp LR-V8 5.0L supercharged and a 375 hp LR-V8 5.0L naturally aspirated engine. The brakes for the naturally aspirated vehicle are modeled on the 4-piston opposed caliper performance system from the outgoing Supercharged model. The updated system employs 14.2-inch ventilated front discs with new twin piston sliding cast-iron calipers for enhanced pedal feel. The rear features 13.8-inch ventilated discs with lightweight aluminum single piston sliding calipers. For the 2010 Range Rover Sport, Land Rover’s award-winning Terrain Response system gains new features and refinements, further extending the vehicle’s all-terrain capability. Most significantly, the Terrain Response system now includes a new ‘Dynamic’ program, designed for sporting on-road driving. The cabin retains its popular cockpit feel but incorporates higher quality materials, sumptuous soft-touch finishes and superb detailing throughout the interior. Leather is used extensively on major surfaces, in a wider choice of colors. To create a more sporting feel, rich dark shades ’sandwich’ narrow sections in lighter tones, and the effect is completed by a generous selection of stylish wood finishes.